CRESTLINE — The seventh Community Care March is Saturday, Nov. 4 in Crestline. Promoted by Together We Hurt, Together We Heal effort, the march is a way to show that the Crawford County area cares about the drug problem in the community. Crawford County continues to lose family members, friends and coworkers to drug addiction. Addiction is a community issue and a united community can send the message that it support the efforts to reach out and help those seeking help. 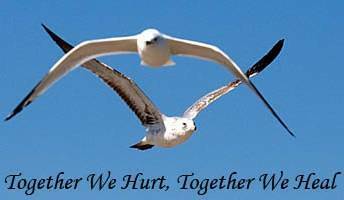 Join Together We Hurt, Together we Heal at the Gazebo on Seltzer Street in Crestline. The walk starts at 9 a.m. and t-shirts will be handed out, while supplies last, starting at 8:30 am. The group will walk to Calvary United Church of Christ, 511 Heiser Court where speakers will inlcude: Matt Crall, prosecuting attorney for Crawford County; Pastor Joe Stafford of Wesley Chapel and Restore Ministries in Galion; and Mary Jean Hensley, founding member of Together We Hurt, Together We Heal. Transportation will be available to allow those who have trouble walking to join the march. A shuttle service will be available at the end of the program to get riders back to their vehicles. This event is sponsored by Crawford-Marion ADAMH Board; Together We Hurt Together We Heal; Crawford Partnership; Victory in Truth Ministries; Love Action Church; Utz Sees Farm, Operation Hope; Bucyrus Police Department; Crawford County Suicide Coalition; Bucyrus Chamber of Commerce; Vasil’s Screen Printing and Embroidery; and Calvary United Church of Christ.